Autumn weddings are usually linked to rustic venues - think wood, hessian and tons of candlelight. But if you're picturing saying Yes! 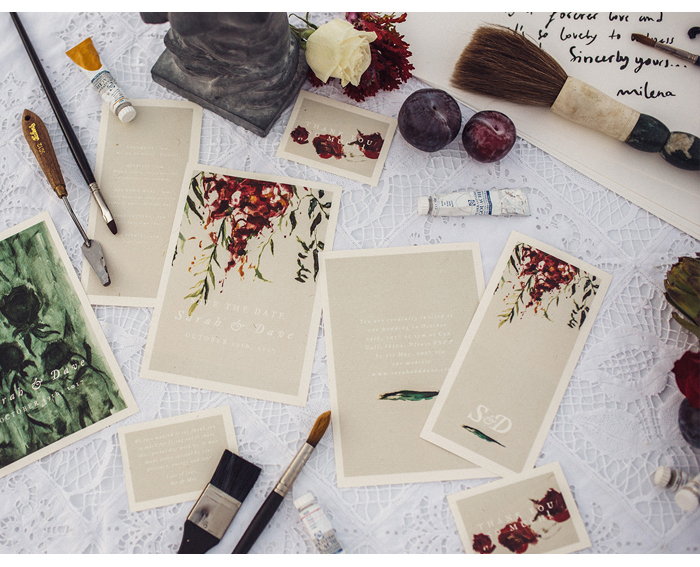 in a warmer clime, these pics from a stunning styled shoot will show you how. 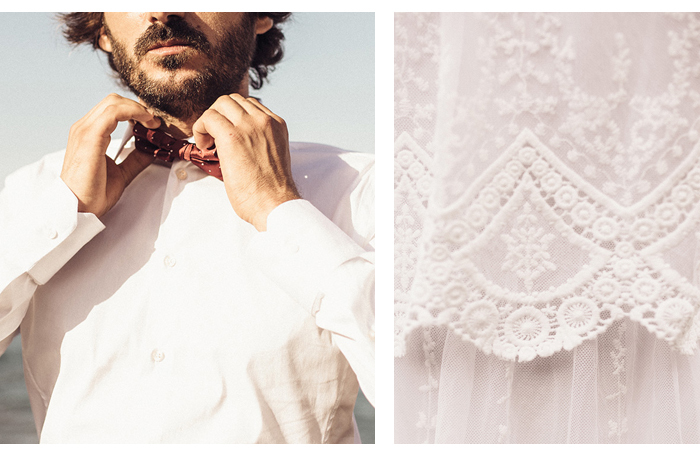 Styled by La Fete and shot on location in Ibiza, the vibe is a relaxed late summer wedding. 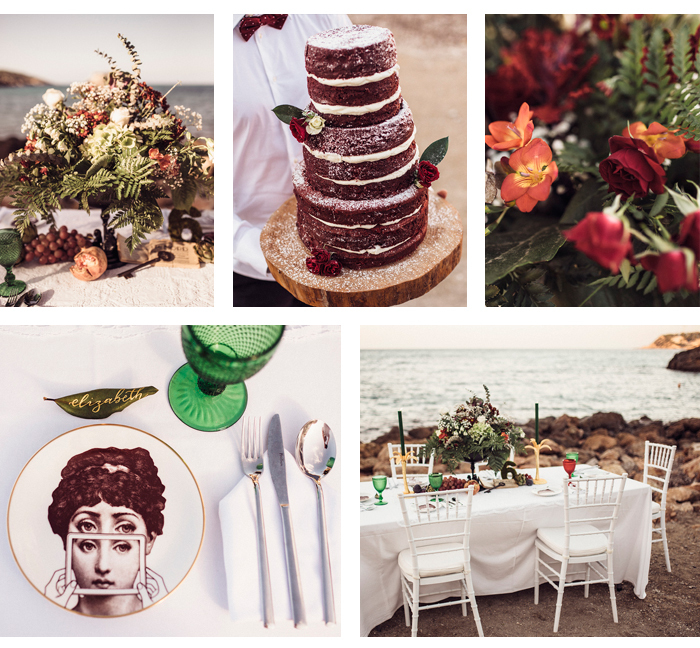 Stylist Charlotte Ricard from La Fête explains the concept behind the shoot: "Autumnal weddings have always had an aesthetic that captivates me; the colours, the light and a certain artistic palette of moods." 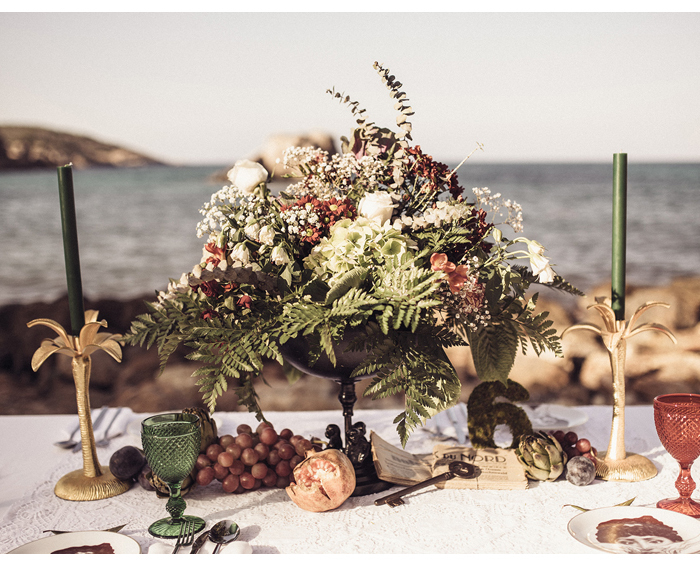 "Weddings, in a way, are an artistic statement of the couple getting married, so I wanted to represent this in the most picturesque location possible: an abandoned Cala in the north of Ibiza." "The inspiration for the shoot came from the importance of nature in more and more weddings as well as the surge in mixing monochromatic with deep tones of red." "The suppliers that participated in this shoot are all local to the island. They were selected because of their experience, talent and vision in creating this Natural Artiste shoot."